Varying temperature levels can be tough to face. They can affect your health and well-being. But, they can cause significant damage to property and livestock too. In particular, if the temperature were to plummet suddenly, it could cause water pipes in many houses to freeze. In some cases, the intensity of the weather could make the pipes burst as well. Builders and plumbers install pipe insulation to eliminate such occurrences. The insulation they use is a protective covering that helps maintain appropriate temperature levels for the pipes, as well as for any substance that flows through the pipes. Homeowners usually insulate the pipes in their homes for two reasons – to prevent sweating and to prevent freezing. Ignoring these situations could inevitably lead to costly repairs. Aircon spare parts suppliers usually stock an array of insulation materials. By applying the right amount and the right type of insulation, you will be able to avoid the harmful effects of extreme weather conditions. At the same time, you would be able to enjoy living in a house that operates more efficiently throughout the year. But, insulating pipes does not merely help in keeping your water and other pipes secure in extreme weather conditions. It can offer a number of other benefits too. Suppliers of aircon spare parts will invariably provide an assortment of insulation materials. 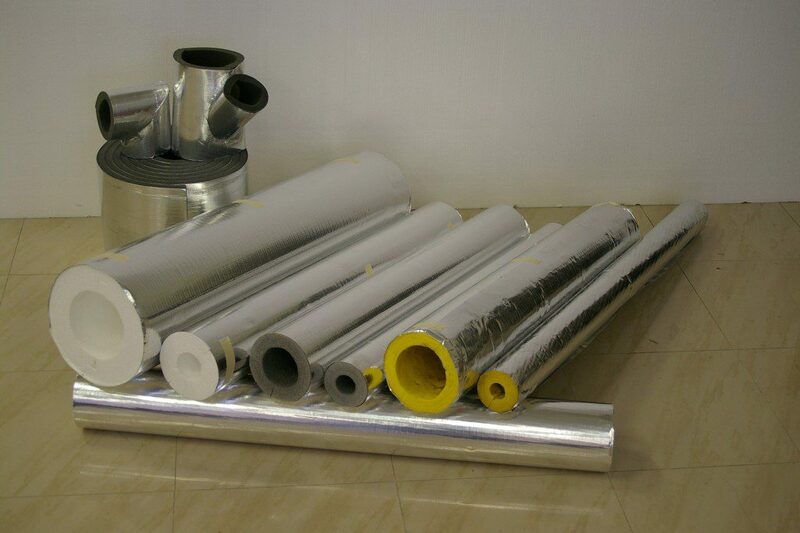 From tubular rubber insulation to foil & foam insulation, they will have a diverse selection of insulation products to offer. These materials will not only keep the water that flows through the pipes from freezing. They will prevent the frozen water within the pipes from expanding and consequently, bursting the pipes as well. However, insulating plumbing pipes in your house can minimise the loss or gain of heat too. When water passes through uninsulated pipes, hot water will lose heat, while cold water will gain it. Pipe insulations prevent this from happening. In addition, insulated pipes could help you reduce your heating bills as well. When you want spray foam insulation or self-sealing foam insulation, you will need to visit the facility of a supplier of insulation and aircon spare parts. Each insulation material has certain features that make it viable as opposed to others. Condensation typically occurs when a surface (e.g. the plumbing pipes) is cooler than the air that surrounds it. This will invariably end up corroding the pipes and the fittings. This is especially so if the pipes are carrying cold water when the air outside is hot and humid. However, quality insulation material will offer superior levels of condensation control. In particular, it will ensure that your pipes and fittings can serve you for many years. At Airtag, we specialise in offering an array of pipe insulation and other air conditioning supplies products. Since 1997, we have been wowing our clients with our peerless services and quality products. Check out our online air conditioning supplies catalogue today.